On Line Travel Tax Litigation. Lamar, Archer & Cofrin, is heavily involved in tax litigation representing city and county governments against on line travel companies such as Expedia.com, Hotels.com, Orbitz etc. for unpaid hotel excise taxes due their clients. Lamar, Archer & Cofrin is co-lead counsel in a class action on behalf of all the cities and counties in Georgia currently pending in the United States District Court for the Northern District of Georgia (City of Rome, Georgia v. Hotels.com, LLP, et al., Civil Action No. 4:05-CV-00249-HLM) in which Lamar, Archer & Cofrin represents 17 representative plaintiffs (including virtually all of the metropolitan Atlanta county governments) against the online travel companies for unpaid hotel excise taxes in the State of Georgia. A motion for class certification is pending before the Court and Lamar, Archer & Cofrin was able to obtain the first order in the United States upholding the causes of action against the Online Travel Companies now being asserted in more than 40 other courts. The complaint filed by plaintiffs in Rome has become the model complaint for virtually all the other pending cases in the country. Lamar, Archer & Cofrin also represents Cities of Baltimore, Maryland, Oakland, California, and Baltimore County, Maryland in claims against the online travel companies. Atherton v. Toshiba America Information Systems, Inc., United States District Court, Central District of California. 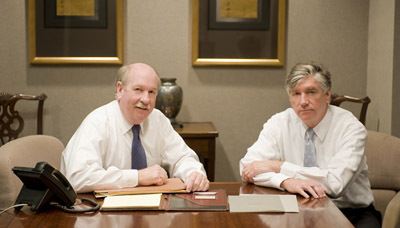 As lead counsel in this class action involving allegedly defective laptop computers sold by Toshiba Lamar, Archer & Cofrin recently obtained (September, 2010) final approval of a settlement in which tens of thousands of class members received cash and cash equivalent payments from Toshiba. In re JDN litigation, U.S. District Court, Northern District of Georgia, Lamar, Archer & Cofrin successfully defended the chief financial officer in a $42 million consolidated class action and several derivative action law suits against allegations of fraud and mismanagement. The CFO was further exonerated when Lamar, Archer & Cofrin obtained a $2.4 million settlement from another Atlanta law firm which allegedly participated with other corporate wrong doers in defrauding the CFO in conjunction with securities irregularities. RTO Software v. Toshiba America Information Systems, Inc., Fulton Superior Court, Atlanta, Georgia. Another case involving allegedly defective laptop computers by Toshiba resulted in a consolidated class settlement with an estimated value to the plaintiffs’ class in excess of $40 million. Auslander v. Prudential Securities, U.S. District Court, Eastern District of Kentucky. Suit was brought alleging securities fraud on sale of limited partnership units in coal mining ventures. The case settled at the class certification stage wherein the representative plaintiffs received approximately 200% of their original investments plus all attorneys’ fees.